Japan is an island nation stretching archwise in northeastern Asia between the North Pacific and the Sea of Japan. The land consists of 4 main islands and over 6,800 islands with a total area of approximately 377,915 sq km, which is roughly the size of California. Japan is mountainous country lying on the circum-Pacific volcanic zone. Mountain ranges with altitude of 2,000-3,000m, which are collectively called the Japan Alps, cross the center of the main island. The highest point, Mt. Fuji is one of the active volcanoes reaching 3,776m. There are 150 important volcanoes and crustal movements cause frequent earthquakes. The Population is approximately 126.5 million with an annual growth rate of -0.278% (’11 estimated). The majority resides in urban areas along the Pacific side. With few flat areas (approx. 24% of total land), its density of population in inhabitable area is one of the highest of the world. Japanese history can date back over 10,000 years and its unique culture has continued adapting imported cultures all the way. Traditionally, it is supposed to be founded in 660 B.C. by Emperor Jimmu. The country made steady modernization after the Meiji Restoration which began in 1867 and became the most prominent nation in Asia. However, with the complete defeat of World War II, every major city was devastated; the economy was a disaster with only 1/10 industrial production compared with the prewar level. After a few years of postwar turmoil, Japanese economy began its remarkable recovery that marked over 10% economic growth for years and brought a payment surplus already in late 1960s. Though it slowed down at oil crisis in 70s and a decade following the collapse of asset-inflated economy in 90s, Japan has been one of the largest economic powers as well as the largest donor of bilateral ODA, which started with the Colombo Plan signed in 1954. The Imperial structure has continued since the Japanese nation was founded. Under the present Constitution of Japan, the Emperor serves as the symbol of the state while the Cabinet has power over all aspects of the nation. The Diet consisting of the House of Representatives and House of Councilors elected by direct vote of the people designates the Prime Minister from among its members. Then the Prime Minister appoints the other Ministers and organizes the Cabinet. The government bureaucracy was reorganized in 2001 into 11 ministries and Cabinet Office. Ministry of Land, Infrastructure, Transport and Tourism is responsible for cadastral systems. The first survey that can be called ‘Cadastre’ in Japan was carried out through the country at the end of 16th century. The purpose was, however, to survey the harvest of rice by measuring the dimension of farmland with the same standard. 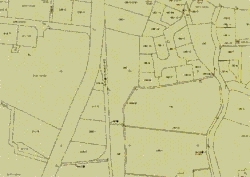 The first cadastral survey in meaning of the present age in Japan started in 1873. However, the results are not based on the national geodetic control network, and accuracy of the dimension and border is not enough either. After World War II the National Land Survey Law was enforced in 1951, and reform of cadastre started. This survey is still in progress. To promote survey, Land Survey Promotion 10 years plan have been implemented since 1957. Presently, 6th plan started in May 2010 is being implemented. In 6th plan, Government will carry out surveying boundaries between private and public properties in urban area and boundaries in forest in mountain villages as fundamental survey which plays a role of basis of surveys following it. Through this measure, it is expected that survey in urban and mountain village will be promoted. As a result, it is expected that progress of survey reaches 57% when this plan is completed. Land registration: Legal Affairs Bureau, District Legal Affairs Bureau, Brach Bureau and Branch Office of Ministry of Justice. Cadastral surveying: Cadastral Promotion Division, Land Economy and Construction and Engineering Industry Bureau, Ministry of Land, Infrastructure, Transport and Tourism, and Cadastral Survey Division in each prefecture and each municipality. Most cadastral surveys are undertaken by the private sector. There is no license for cadastral surveying. A license "registered surveyor" is necessary to carry out surveying using tax as even a part of funding and at the same time referring to national geodetic control stations. Examination is the requirement to get a license "registered surveyor". Licensed Land and House Investigators take care of registration of transaction of land. There are some lectures to train the staff of municipality hosted by Cadastral Promotion Division or ALL Japan Land Survey Association. There is no university with the education system for cadastral surveying professionals. National Land Survey has been carried out under provisions in laws mainly National Land Survey Law (Law No.180 of 1951) and The Act on Special Measures for Promotion of National Land Survey (Law No.143 of 1962). National Land Survey aims at improving basic data concerning land of the whole country for more efficient and reasonable land utilization through the scientific and comprehensive survey of actual conditions of the national land and reforming the cadastre. National Land Survey consists of 3 surveys; Cadastral Survey, Land Classification Survey and Water Survey. Cadastral survey is one of National Land Survey based on National Land Survey Law. Mainly municipalities conduct Cadastral Survey to survey owner, parcel number, type of land, boundary and the dimension for every parcel of land. Nearly half of maps kept and utilized at registry office as record concerning land in Japan are still based on old map (recorded map) etc. made at the time of extensive revision of the land taxation system in the Meiji era (the end of 19th century). There are some cases that some recorded map is different from the real boundary and configurations etc., and the dimension of land listed on a registry book is inaccurate. The product of the cadastral survey is submitted to the registry office to update registry books and maps. The updated registry books and maps will be useful for the smooth transaction of interests in land and efficient administration. There is only one cadastral system in Japan except the national forest and public land. The Forestry Agency manages the national forest in its own way, and the public lands are not usually registered in the registry books. Cadastral Survey is conducted by local public body like municipalities. The land parcel is the main unit, and the followings are surveyed; owner, parcel number, type of land, boundary and the dimension for every parcel of land. The basic cadastral components are owner, parcel number, type of land, boundary and the dimension for every parcel of land. All of them are registered and maintained. Their information is basically written on the paper and the rate of computerization is 30%. The contents of cadastral map are address, boundary, parcel number, scale, control point and coordinates. The cadastral map is basically used for update of registry maps at registry office. Some municipalities apply the cadastral map as a basic map to manage some information by GIS. Beside this, NSDI is prepared as a reference of position. Precision of it is 1/2,500 level in urban area and 1/25,000 level in other places. NSDI has 13 layers.